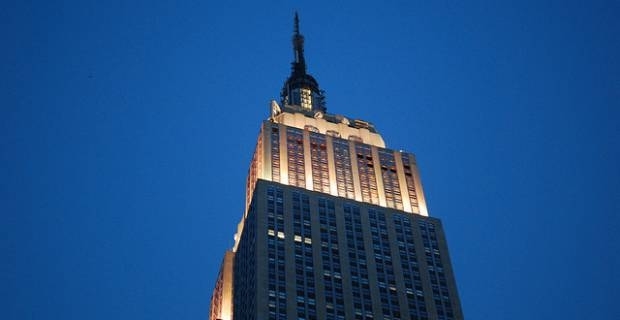 A visit to the Empire State Building has to be on your itinerary if you're going to New York. The panoramic views of the city from the 102nd Floor Observatory bring approximately 4 million people to the tower each year. With so many people visiting the place, what should you do to avoid the crowds and maximise your visit? A visit to the Empire State Building can lead to a lot of queuing. Getting into one of the observatories, for example, involves a queue for your ticket, another for security and one for the lift. There’s no way to avoid the line for security or the lift, but buying your ticket online can save you from the ticket queue. You could even buy an Express Pass which puts you ahead of other ticket holders in the security line. There’s so much for tourists to do in New York that finding time to fit it all in can be difficult. Activities like a walk through Central Park, shopping on Fifth Avenue or taking in a show on Broadway, could leave you with very little time. Thankfully, a visit to the Empire State Building can be timed to fit around your other activities because it’s open from 8am until 2am. Visitors can view the city from the interior areas or from the outside observatory on the 86th floor. Up there an open-air 360 degree platform affords tourists unparalleled views of the Big Apple. Of course, standing outside more than 1 mile from the ground will exaggerate any cold weather, so dress warmly. Similarly, on a good day, you will need sunblock or a hat to shield yourself from the sun. The only thing left to consider is whether your visit is during the day or at night. That’s a tough choice because during a clear day you will be able to see the geography of New York, whilst a night time visit to the Empire State Building offers a unique opportunity to see New York’s skyline lit up by the city’s lights.